As summer kicks into full gear, crowds will be heading out to the seventh installment of the flamingo-flanked Phono del Sol Music & Food Festival this Saturday, June 17th. Each year, music-lovers of all ages pack into the skater-friendly Potrero del Sol Park for a day of music and food put on by The Bay Bridged and presented by Tiny Telephone and DotheBay. This year’s fest features a banging line up that includes big time names like Thee Oh Sees, noise-punk darling The Coathangers, and a slew of Bay Area bands, including Sean Hayes and Jay Som. 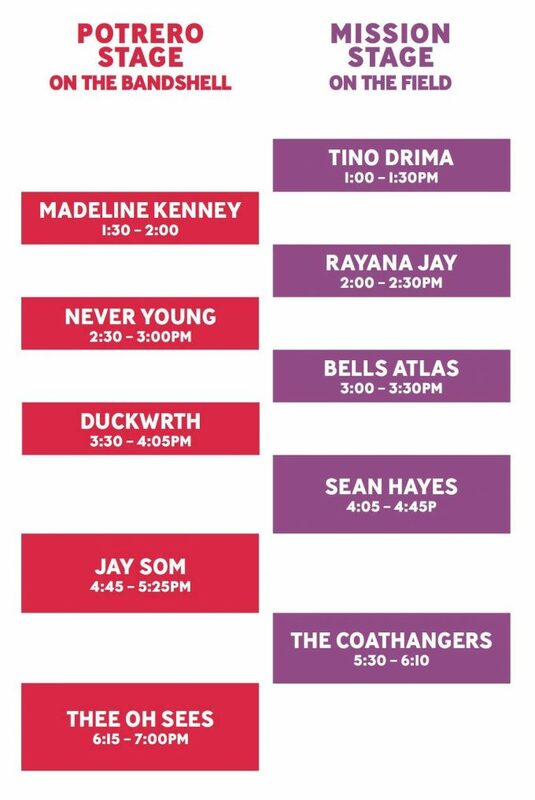 The rest of the star-studded lineup consists of funk rapper DUCKWRTH, Bells Atlas, Never Young, Rayana Jay, Madeline Kenny, and Tino Drima. Sajj, Mozzeria, Linda’s Catering and The Waffle Roost. With a forecast of 75°F, it appears that Karl the Fog will be lifting to give festival goers a sunny day of beats and booze that’s sure to be a summer highlight. The festival runs from 12PM to 7PM, with Tino Drima kicking off the festivities at 1PM. 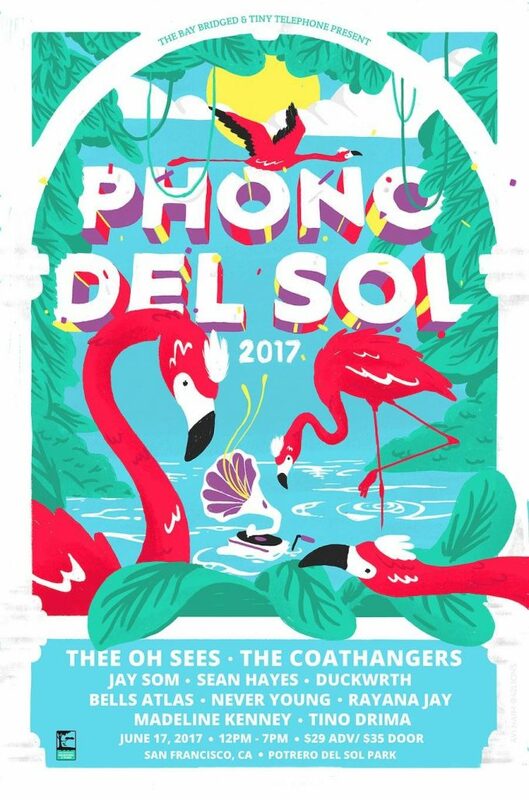 Tickets are on sale now at Phono del Sol’s website — $29 for general admission and $60 for VIP, plus if you buy five tickets online, you’ll get the sixth one free!